Knowing that I’m not much of a drinker, my friend John wondered how I had met Cal, the protagonist of my latest book, Tales From the Dew Drop Inne. “Was he a client?” he asked; after all I had been a shrink for years. We had met for coffee, and John was full of praise for my writing. I sipped my latte and resisted the temptation to laugh. That was obviously unsatisfying. John’s pretty literal; he hadn’t understood that Dew Drop is a work of fiction. Not too long before, I had seen a Facebook comment about a true novel. That had led my mind to another oxymoron, fictional reality. I thought about what I might say to John. A writer makes up his world; I call it a fictional reality. The places, the people, the events: none of them are real, but they are all true. None of them exist in a single place, but they all are universal – at least that’s what the writer hopes. We authors are a strange breed. We are like gods. We make it up and bring it to life. You want to meet Cal, read the book. You want to try a Killer’s Delight, ask Sal to make “yous” one. 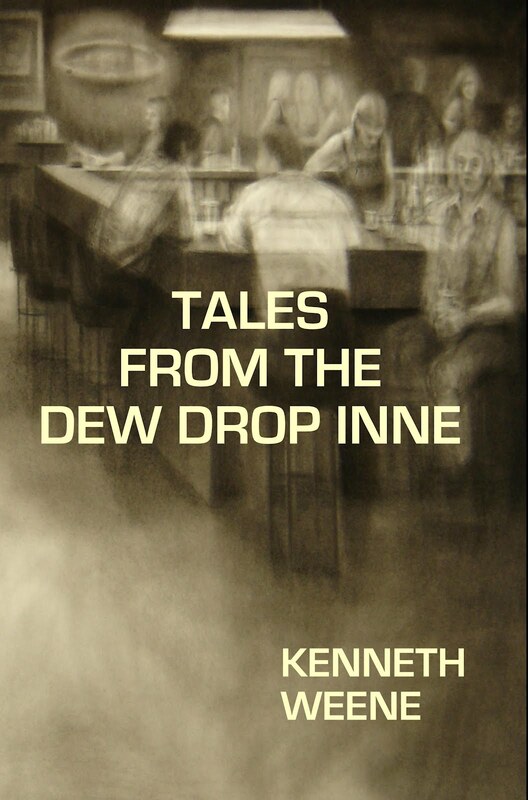 You want to laugh and cry with people too real to walk the streets, visit The Dew Drop Inne. I turned the conversation to the baseball season. Well, my friend had learned something. Better yet, he had enjoyed the book. The latte was hot, the biscotti crunchy, and life was good. Try this book trailer to learn a bit more about Tales From the Dew Drop Inne. This week, we’re looking at what happened when I asked: Do you have a “one sentence writing tip” to share? Here’s the third installment of replies sent by my FB writer friends. This week, we are looking at "one sentence writing tips" sent in by my FB friends. By the way, there is still room for a couple more "one sentence writing tips" later in the week. E-mail your tip to me at montananovels@yahoo.com - thanks! I asked FB friends for “one sentence writing tips” and got some great replies. When I did this a few months ago, I only allowed one tip per person, but I made an exception this time. See what you think. Claire Atherton - ‎"There is no hard and fast rule about the best way to write, just go with your heart." Sheree Bartlett - ‎"The best way to not succeed is to keep making excuses." 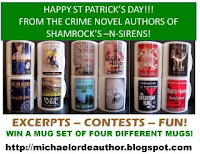 Dixon says: In case you missed it, I enjoyed taking part in the Shamrocks-N-Sirens readers event for lovers of thrillers and crime novels. I learned a lot, and got to know a great group of up-and-coming authors. It was also fun to introduce my novel, The Assassins Club, to new readers. The event is finished, but the author interviews and book links are still on Michael Lorde's blog, which hosted the event. Guest blogger Malika Gandhi on Life Writing. You may have heard that writing is a personal thing. It truly is. People write for different reasons - for recognition perhaps, out of passion, or it could just be their job. It begins with a thought, maybe written within the pages of a diary, and a “why not?” The creative energy flows when you write something you feel strongly about. Emotions come into play - anger, sadness, happiness. The pen and paper become your friends. Writing is about seeing. It’s about noticing what happens around you. Just walking down the street and watching what goes on around you will bring ideas. We live in a fascinating world and there is never enough to write about, but the hard part is what to write? What makes people want to stop browsing and start reading? Research is the answer, and then to go by that trend. But this is not always necessary. If you simply want to express yourself, then there is no stopping you. Just blog. In your own site, you can put down anything that fascinates you. You can talk about photography, your life, your hobbies...the list is endless. I began to write when I was in junior school and I was told to write book reviews in a log book. I was an avid reader and still am. I loved reviewing books by my favourite authors, C.S.Lewis and Roald Dahl. Sometimes I got carried away and filled two or more pages than was necessary! As I grew older, I moved on to writing diaries. Years later, I began to write my novel and as all authors, established or not, I had to overcome many hurdles. I attended writing courses, read many articles, and subscribed to writing magazines to get where I am now. I still have a lot more to learn but being self-published, opened me up to the world of blogging. The site is based on my novel Freedom of the Monsoon. Also, I have the chance to showcase other works. I can talk about my personal life, my art, and my culture. Each time I post something, I feel I have achieved and so will you. It is a personal satisfaction. Learn more about Malika at her blog. Dixon says: Malika, I like your book title - very lyrical. One thing I disagree with is following trends. At the moment, gay, conflicted werewolves may be all the rage, but in the 2-3 years it takes to write, edit and publish your book, the public will have suffered through a deluge of stories about gay, conflicted werewolves and will not embrace another one. I believe the 'trick' is to figure out what universal themes make people flock to Harry Potter, James Bond, Hunger Games, The Girl with the Dragon Tattoo, and so on. Then find ways to express those themes through your own original characters, plot and settings. Guest blogger Blake Stevens on reading to become a better writer. I am a prolific reader and I read to learn. I love reading great books on leadership, business history, wine, cooking, philosophy, theology, church history and a number of other topics. I also enjoy reading non-fiction detective and spy novels, and other forms of 'brain candy.' Until recently, the main purpose of my reading was to consume as much content as I could. Occasionally, the style of writing would get in the way and inhibit my ability and even my desire to finish a book. Poor structuring of the content, poor grammatical phrasing, and overuse of complex, compounded sentences made reading tiring. Sometimes, poor writing could even be disruptive to my reading and 'stop me in my tracks.' When this occurred, I noticed it because it was forced upon me. At the time, I was not reading with the view to determine the degree of readability. I have read the entire Bible in both the King James format and the NIV format. I find the King James version easy enough to read, but noticed when switching in between versions that I would read the NIV version about 25% faster than the King James version, and I was more tired after reading the King James version. The readability is just not as good as with the NIV version. Both are well written but the King James version has a tougher style and the reading process less fluid. Since starting to write my first book, I have read five books and have been noticing and reviewing the different writing styles of each book. I am taking the time to figure out what makes one book easier to read than another one. I am also reviewing the style and ease of reading earlier and later works from the same author. In most cases, all authors have improved the readability of their books over time. I am sure there are a lot of other factors at play that make a book more readable, but these are things I have noticed which I have been trying to improve upon in my book. At first, I thought reviewing the writing style of a book would take away from the pure enjoyment of reading it, but have found quite the opposite. I am enjoying this new dimension to reading and it is also now helping my writing. 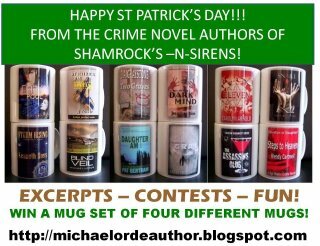 Dixon says: By the way, I've working with 11 other crime and thriller writers on a readers event called SHAMROCKS-N-SIRENS, and it runs through March 17th. Today, March 13th, I happen to be the featured author. You can find a YouTube clip about the event here. 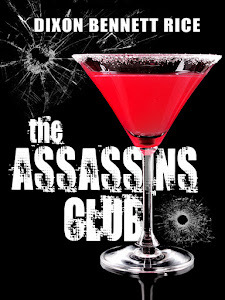 Interviews about me and my thriller THE ASSASSINS CLUB can be found on various blogs, including those of Stella Deleuze and Pat Bertram. I became an Indie author in August of 2011 and started uploading my four novels to the Amazon and Barnes & Noble websites. In “real life” I sold real estate, wrote ad copy, and owned a small retail business. I never marketed myself, so Twitter and Facebook seemed like a foreign countries with languages of their own. My daughter designed a website, and I started promoting my work. Six months later I read about authors’ success with Amazon’s Kindle Select, so I dropped Barnes & Noble (very few sales anyway) and signed up on the program. Should I schedule free book days? With two different series, I could offer the first book in each to promote the series, but shouldn’t I wait until I had more titles to offer? Evidently free days do a lot for a single book. When a book moves up the free list “also boughts” kick in (the message that says “customers who bought this book also bought—insert your title”). I decided to offer two books for free in February. A friend directed me to a fantastic article by Karen Barney “Maximizing Free Days on Kindle Select." I had a game plan. In addition I joined tweet groups to spread the word to more readers. I suggest joining the tweet team at Women’s Literary Café and shorten links to your book at www.bitly.com. Let’s get to the numbers. With Howl of the Wolf I gave away 4390 e-books in two days. After two weeks I’ve sold 177 books plus 13 borrows. During the same period, my friend Tina Boscha gave away River in the Sea. She reports 13,650 free downloads and sold 306 books plus 70 borrows. Therefore the more free books downloaded equals more sales. Both of us increased our sales from previous months. The following week I offered Murder Caribbean-Style free and gave away 5225 e-books. The title reached #6 on the Free Mystery list. After two free promotions, all four of my books are selling, including the #2 in each series. What should authors expect AFTER a free promotion? (1) There will be dead time without sales that can be unnerving. Don’t look! Mark down the number of free books downloaded (so you can do the math later), and ignore your statistics for at least 24 hours. Don’t peek! (2) After that sales should begin, along with some returns. Don’t let returns phase you. After free days people click without checking and return the book when they get charged. (3) In the next week “also boughts” kick in and people browse your title. About that time, your sales rank gets higher, peaking 4 or 5 days later. (4) Two weeks after free days, you may have several hundred sales. Regardless of how many you gain immediately, you received valuable exposure as an author! Trying to navigate the strange world of Indie publishing and self-promotion can be daunting. If anyone has more questions, contact me through QuickSilver Novels website or on Twitter @DianeRapp. Guest blogger Dawn Torrens on indie pricing. Life is full of niggles. In the publishing world, I have one specific niggle. As an indie author I feel self-published authors are pricing their hard work and lovingly written books far too low. I personally feel that 99c or 99p should be reserved for short term promotions. This ludicrous low pricing of indie books is under-valuing our work. If someone wants to buy your book after reading the synopsis, they will whether it’s priced at 99p or £2.99 - which is still a great price. I have had this discussion with many people. They all agreed on one thing; if they want a book, they will buy it. They won’t necessarily buy a book just because it’s free or priced very low. I have read many great e-books over the last 12 months that I would have gladly paid more for. As a writer and avid reader of many genres, I will buy a book based on the concept not the price. Learn more about Dawn at her website or her FB author page. Guest blogger Harvey Black on visiting actual settings. Many action-adventure books have been written about World War II, but not so many by writers from one of the Allied countries from the point-of-view of German soldiers. Harvey Black has written three novels about Fallschirmjäger – a German word for ‘parachute hunter,’ the name given to their paratroopers. His first thriller, Devils with Wings - The Green Devils Assault on Fort Eben Emael, was released in the summer of 2011, and Devils with Wings: Silk Drop came out in early 2012. I have wanted to write a novel since I was a teenager. Enthralled by Tolkien’s Lord of the Rings, E.E. Doc Smith’s Lensmen series and Edgar Rice Burroughs, I felt sure my first would be of the fantasy or science fiction genre. Joining the army changed all of that and my new passion became military history. Devils with Wings - The Green Devils Assault on Fort Eben Emael, was based on the adventures of two young Fallschirmjäger paratroopers during the early part of World War II, climaxing with the assault on a supposedly impregnable Belgian fortress. For both books, I visited the locations in person. For Devils with Wings: Silk Drop, I walked the routes in Crete where my characters would have marched, up to 18 miles. Most of the descriptions in the novels were written in situ, looking at the terrain as the actual combatants would have viewed it. For my third novel, I shall also visit Leningrad and the River Neva in the near future, to ensure that realism is maintained. 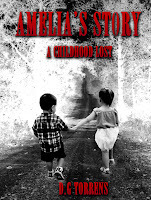 To learn more about this author, visit his Amazon.com author’s page. Jack the Ripper’s identity has been discussed ever since those horrific crimes were committed. Below is an excerpt from a short story I wrote, "A Tale of Whitechapel," which concerns a meeting between Jack the Ripper and Louis Darton, a most erudite vampire. 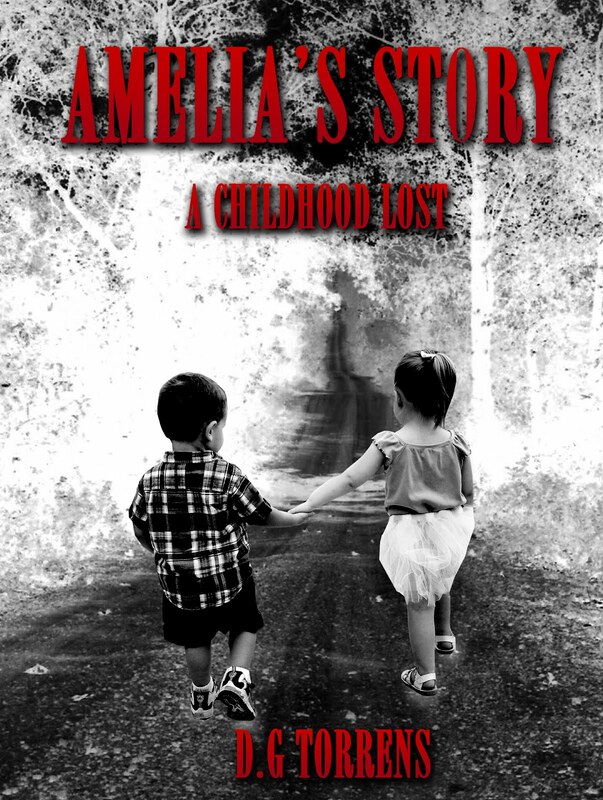 It appears in a novel length collection of short stories entitled Haunted Tales of Terror. In this story, I name one of the official suspects as being Jack. Truthfully, I hesitated naming him, but I think writing takes courage. We are faced constantly with so many daily challenges, such as the challenge of commitment and of sticking to our projects. Some would have said she was pretty. I, myself, didn’t share that opinion. I could see the bog in her, the stinking midden, which flowed too near to her birth place. I could see and smell that as well. Yet when I first saw her move with the unmistakable sauntering gait of the street walker, I was fascinated, the way a lion might be staring at his prey. I smiled and said something. She took my interest as flattering, my conversation as exciting. I saw a smile and flash of her teeth, still intact because she was young. Darling! What effrontery. Had she known who I was, she’d have died! How ironic, don’t you think? It was late—few people were about even on these disease ridden streets. So we walked along, just she and I, both full of happy expectation. Her lodgings were grim and disgusting. A broken window with a piece of fabric shoved inside it to keep the cold out. The room was so tiny the door could not open properly. Her bed seemed to fill up the place, a busy bed no doubt. I turned in order not to see her tawdry preparations. I smiled too as I reached for my friend: Mr. Sharp and Ready—a pleasant sort of chap if you don’t rile him. The women rile him—some women that is. Some kind of instinct must have alerted her for she suddenly opened her eyes. That’s when I slit her throat. Two swipes—the second so powerful, I nearly took her head off. Blood erupted like a beautiful fountain. Then it stopped. Her eyes were open and staring and that’s when I began to paint my canvas. I wanted to leave my mark. It was work. People said I wasn’t good at anything, but I was, for I was a master craftsman, an artisan! People don’t realize how much talent it takes to do what I do. Nor do they know how much time it takes; however as it was getting late and I could not afford to dawdle, I pulled off my blood-stained clothes (I had clothes underneath). I planned to walk up Commercial Road toward Anthony Street, eventually reaching London Hospital where I knew I could easily catch a cab to Jermyn Street. Ah, the luxury of a Turkish bath to wash away the tiredness and anything else that might need washing away. Finally I leave, closing the door gently behind me, but that’s when I saw a man standing not 100 yards away. There was something familiar about him. Suddenly I knew where I’ve seen him. Club Crimson! 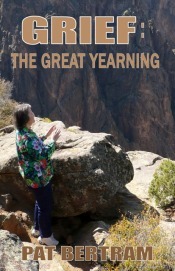 Learn more about Carole at her website or check out her book on Amazon. Guest blogger Blake Stevens on using a non-English speaking reviewer and editor. The English language is something that most of us have intuitively learned as an early child. While some of us have studied the language more formally at school, most of us are ignorant of basic grammar, proper use of tenses, yet alone how to structure a paper. Therefore, we lack a lot of what it takes to be a professional writer. I have had to learn 'proper' English the hard way as an adult through my business writing and consulting, and it has improved significantly over the years, but being a proficient, technically correct writer still does not come easy for me. Since English is my first (and mostly only!) language, I also write in a style that is more parochial, and I lack a trained understanding of how the language is properly constructed. I also find in basic proofreading that because I was the author of the text, that when reviewing it, I am glancing over it too quickly and miss a number of simple typos, in addition to more complex issues such as consistent use of tenses, pronouns, etc. One of my friends lives overseas and English is his third language. He has had to learn English as a language through formal training and in many ways understands the grammatical structure better than I do. While I am far more experienced in the use of the language, he is far more formally trained. This allows him to pick up on things that slide under my eyes without notice. While his lack of experience in English does limit him from completely editing the book on his own to make it 'close to perfect,' he is uniquely positioned to pick up and correct a number of items that my other reviewers - who have English as their primary and first language - have missed. I have found this invaluable and would recommend that everyone have a non-English speaking native on their review team! 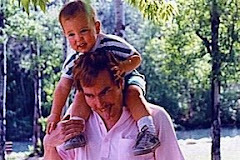 Blake Stevens is author of Still Stupid at Sixty and you can learn more about him at his blog. Guest blogger Jonnie Comet returns with some thoughts on yesterday’s ‘setting’ post. Hemingway once said, about writing in a given setting, ‘Don't forget the weather.’ Details about setting can be vital to a story's appeal but there are pitfalls to having too much detail as well. I tend to write with a firm idea of the locale of the story. First, I like to choose places I would like to live in, possibly because I do not find many good works of fiction set in such places. I never write about NYC, Miami or LA, for example. There is not much fiction set on sailboats or in the lesser-visited Caribbean islands, so Deirdre, the Wanderer is focused on these settings. In other cases I will invent geography (more recently relying on Google Earth for ideas) and otherwise using the story itself as what determines what the place has to look like. Whilst not a science-fiction writer, nor a fantasy writer like Tolkien, I nonetheless have devised whole worlds for the telling of a tale. One series (bits of which are on Kindle) takes place in a fictitious British possession in the eastern Pacific -- bearing a passing similarity to the British Virgin Islands -- for which I have composed a source book of documents, maps, history, weather patterns, cultural identity, bus routes, rosters of businesses, and so on. When writing a new chapter, I already have a known 'reality.' It works just the same as if I were writing about a real-life place. The central-Connecticut 'River Valley' setting of my Love Me Do is another case. Ostensibly it is set in the vicinity of Middletown, but Middletown does not exist in the story's reality (though other real places do). The township of Wilshire is too big to be Middletown and I can't claim that roads and streets mentioned have any real-life corollaries. Wilshire thus stands as an alternative reality of Connecticut in the 1970s, not unlike what creative re-enactors and model-railway hobbyists concoct. I confess I borrowed this device from Fitzgerald's setting of The Eggs in The Great Gatsby. The setting is finite, must exist in a specific area and yet does not depict 'true' reality. This leads to a certain surrealism which, I believe, is part and parcel of a story's theme and of the whole reading experience. Fanciful settings do have their limitations, especially when they must dovetail with actual ones. We have all seen Pocahontas flying over the 50-foot waterfall in a Disney film, but such a waterfall does not occur anywhere along the eastern US coast. Did Disney really believe anyone who had been to Busch Gardens and Williamsburg wouldn't know that? Such stretches of credibility can detract from the audience's experience. Setting details should support but not overwhelm the story. Too often a writer will try to keep too close to real-life setting (or, worse, biography) and may include so many details the story itself seems secondary. Even the Gothic writers of the late 1700s were more apt to invent scenery than to write from experience. In addition there is always the possibility of misrepresenting something an astute reader will notice. Agatha Christie related an anecdote, soon after publishing a Poirot mystery in which she had a man meet someone at the corner of two streets in Paris. A reader wrote that, 'Mrs. Christie, those streets do not meet. They are parallel all through the city.' Oops. One way to avoid error is to simply be less precise. My rule is 'If you don't know, don't say.' To represent a TV studio in Manhattan, don't give the address or the directions or even the time it takes to cross the town to get there. Anyone could case 53rd Street and discover the building you describe does not exist. Just say it's 'in the Fifties'. That's close enough. It's believable, establishes location, and moves your story on to the real action. Whilst strong, credible and well-described setting is an asset -- perhaps even a requirement -- for any story, slavish adherence to reality can actually be detrimental to the story's purpose. Keep in mind that a story should include some action, character development and a memorable, relevant theme. Setting is only one vehicle to enable those elements. Guest blogger Graham Smith on choosing settings. How do writers choose a location or a setting for their stories? There are lots of different answers to this question, so all I can do is relate my own experiences and choices. My own take on this is somewhat varied as I use real, fictional and amorphous locations for my stories. First, there is the novel I’m writing which is set in my neighbouring county. I purposely chose to set my novel in Cumbria and The Lake District because I am familiar with the county and the dialect of the locals and I have an understanding of local issues and the mindset of the populace. Another deciding factor is a purely lazy one. Cumbria is on my doorstep and if I need to research something then I know I can jump into the car and within a couple of hours I’m exactly where I want my characters to be. All I have to do then is look around and make a few notes. If I want to get a feel for local news there is always a paper I can buy at a newsagents. Or I can head into a café or bar for a leisurely lunch and do some industrial level eavesdropping to pick up local dialects and speech patterns. Second, there is my first collection of short stories, Eleven the Hardest Way, which has nine of the eleven different stories taking place in un-named locations. There is no reason for this other than the fact that a precise location was not important to the story. Take Shooting Stars - where an assassin lies in wait at a movie premiere - it doesn’t matter whether the action is in London, Paris, LA or any other major city. What matters is the assassin, the target and the reason for the intended assassination. All other factors contribute but within the realm of the story the location can be anywhere and as such becomes less important. A caveat to this though, is that when choosing a non-specified location the author must still imbue an atmospheric element to the story. 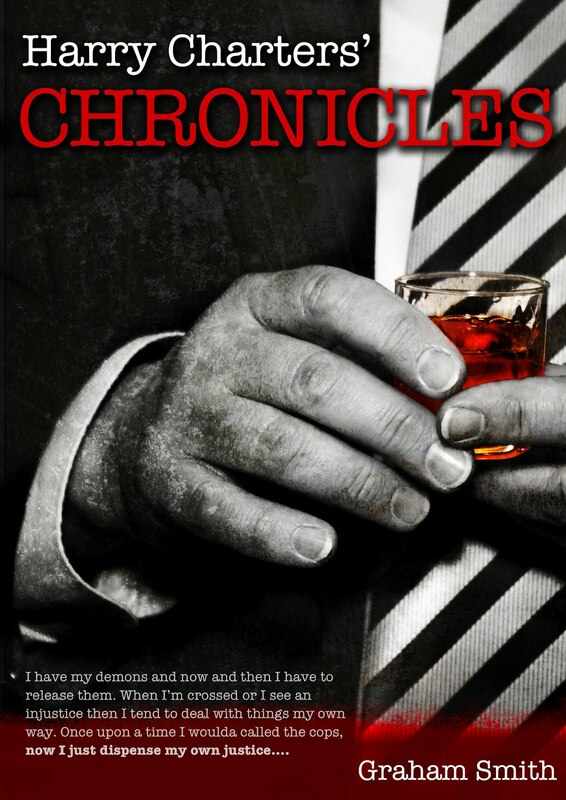 Third, I have another collection of short stories, Harry Charters Chronicles, which I’ve set in a fictional city called Mariscoper. Hands up here, I made a conscious decision to make up a location as when I was writing the stories I was so involved with the writing that I didn’t want to stop and start researching a location. A quick Google map search gave me a few suggestions and then after a spot of renaming I had Mariscoper, a playground for my protagonist I didn’t need to research. I couldn’t possibly get it wrong as there is no such location. This allowed me complete freedom. As I wrote further pieces featuring Harry, Mariscoper evolved to have docks, a major river and neighbouring cities not to mention a college. Learn more about Graham at his blog. Guest blogger Salvatore Buttaci on learning the writer’s craft. Why is it so obvious in sports, trades, and professions that education and practice are prerequisites for success, and yet many aspiring writers believe they can stop at the gift of a wild imagination and play down the skill of language use and the daily application of this skill in actual writing? While it may be true that there is a book in all of us, that book most of the time remains unwritten. Why? Because it’s easier to dream than to act. Writers who dream of attaining success must add substance to that dream by studying an English handbook so what they put down on paper in a final draft is worthy of publication. They need to learn all they can about poetry or fiction or nonfiction by reading the works of successful authors as well as delving into how-to books about the writing craft. Once aspiring writers decide to make the effort towards becoming masterful in language, their imaginations can easily be harnessed and shaped into admirable writings. Then, by writing every day, the cart now before the horse, they can take that second bit of good advice and persevere for all it’s worth! Salvatore Buttaci was the 2007 recipient of the $500 Cyber-wit Poetry Award. His poems, stories, articles, and letters have appeared widely in national publications. Flashing My Shorts and 200 Shorts are available here and his new book, If Roosters Don’t Crow, It Is Still Morning: Haiku and Other Poems is available here.